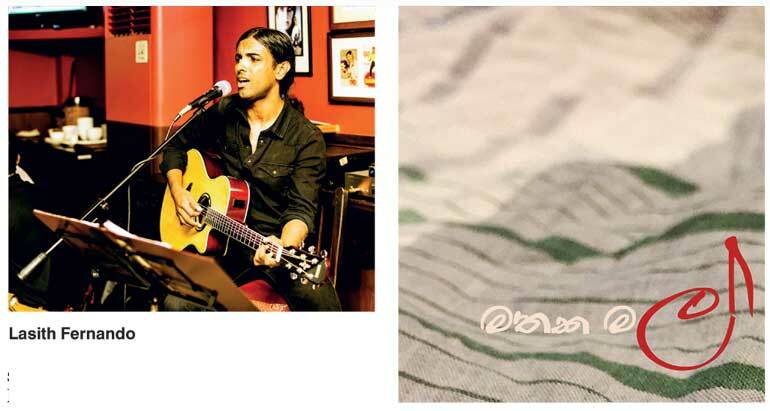 Singer-songwriter Lasith Fernando will be releasing his debut single ‘Mathaka Mal’ today, 21 January. He has made a name for himself as a working musician hustling the pub circuit of Colombo, performing in English. In ‘Mathaka Mal’, Lasith reminisces about a loved one lost to the passage of time, the lingering fragrance that sits in his room, and the memories that still trail the road that he walks. This song marks a shift into a different musical landscape, by attempting to write a song in Sinhala, while being influenced by ’80s classic rock and contemporary pop-rock. His goal is to synthesise feelings into music in all their raw, honest, glory. Having mostly listened to Sinhala songs that his friends listened to or those in the theatre and on TV, his influences vary. If there is one Sinhala musician who has inspired him, it would be Amaradeva’s raw and visual songwriting, able to sing about something as simple as changing your sarong and it would still move you. Growing up in his grandparents’ house on the outskirts of Dehiwala, Lasith remembers listening to his father playing Clarence Wijewardena and Jim Reeves cassettes, and his grandfather singing Frank Sinatra songs to himself. Over the past three years, Lasith has been a staple of the Colombo music scene, hosting a very popular open mic amongst both musicians and pub-goers. Fostering a community of musicians who just love to entertain each other, he’s found a home for himself that is built on music. ‘Mathaka Mal’ will be the first song to step outside its doors into the world. You can listen to the song online by searching for ‘Lasith Fernando – Mathaka Mal’ on YouTube.